Engaging, fun games for mobile and home platforms. Brian was introduced to the world of gaming at age 7. For over thirty years, he has evolved from a Red Box set of Dungeons and Dragons and Adventure on an Atari 2600 to the Wizards Virtual Table and Final Fantasy XIII on his Playstation 3. After working retail for fifteen years, he went back to school, completed a degree in Game Design, and changed careers to the medium he has loved since childhood. After a few false starts, he and Nevin opened On Till Morning Entertainment, LLC to bring their visions of games to reality. Brian is a self-described geek and nerd. He has been an anime watcher since the days of Star Blazers, Voltron, and Robotech. 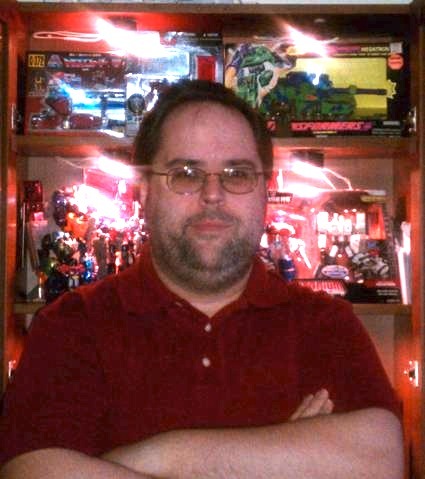 He also has a collection of Transformers that spans the original Generation One toys to the newest releases. 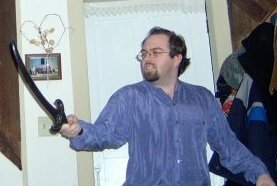 His favorite games of all time include The Bard's Tale Trilogy, The Magic Candle series, The Battlefield: Bad Company line, the Kingdom Hearts stories, and just about anything Final Fantasy. He is eagerly awaiting the release of Kingdom Hearts 3D and Transformers: Fall of Cybertron. Nevin Flanagan is a skeptic, a mystic, a pedant and a dreamer. He is fascinated by anything involving languages and his work has including teaching English in Japan, writing role-playing game material, teaching game development at ITT Technical Institute, and developing World of Warcraft interfaces. He is presently a Master's student of Interactive Media & Game Development at Worcester Polytechnic Institute.